The Toyota Certified Used Vehicle Comprehensive Warranty coverage will increase from 3-months/ 3,000-miles to 12-months/12,000-miles1. The Powertrain Limited Warranty will remain the same at 7-years/100,000-miles2. All Certified Platinum and Gold plans will now include Roadside Assistance (RSA). While the RSA coverage included with the TCUV Base Warranty will reduce to 1-year, the Certified VSAs will pick up the coverage and provide RSA for the life of the agreement. Each Toyota Certified Used Vehicle is also backed by a 7-year/100,000-mile Limited Powertrain Warranty (from original date of first use when purchased as new). We also add a 1 year 24-hour Roadside Assistance Plan (from original date of first use when purchased as new). For the enhanced peace of mind of an available Extended Vehicle Service Agreement, please visit Toyota Financial Services. At Toyota, only the best of the best are chosen to be Toyota Certified Used Vehicles. When we choose a vehicle for Toyota Certification, we have to do a little investigative work. Not only do we put each vehicle through an exhaustive 160 Point Quality Assurance Inspection, but we also run a CARFAX Vehicle History Report to ensure it's worthy of the Toyota Certification process. Then, each vehicle is reconditioned to Toyota's exacting standards by factory-trained Toyota Technicians. We want the vehicles to look and feel as new as possible and we know you do too. We believe this helps maintain the value, as well as creates pride in ownership of Toyota Certified Used Vehicles. At Toyota, only the best of the best are chosen to be Toyota Certified Used Vehicles. When we choose a vehicle for Toyota Certification. Toyota Certified Used Vehicles purchased with a CARFAX Vehicle History Report that does not contain any DMV-reported incidents (salvage, fire, flood damage, odometer problems, lemon history) may be eligible for the CARFAX Buyback Guarantee. Complete terms and conditions are available at www.carfaxonline.com. TCUV is pleased to announce a first of-its-kind program – Toyota Certified Used Hybrids. With a new logo and tag line, the objective of this program is to increase awareness and drive sales of certified used hybrid vehicles while supporting Toyota's company wide initiative of promoting Hybrid Synergy Drive (HSD). In addition, there are four key benefits to launching this certified hybrid program. The Toyota Certified Used Hybrid program elements are similar to that of our current certified program, but with an increased emphasis on educating consumers and easing apprehension for purchasing a used hybrid vehicle. 8-Year / 100,000-Mile Factory Hybrid Battery Warranty (Minimum required coverage). Coverage in California Emission Warranty States is up to 10-Years / 150,000-Miles. States include: California, Connecticut, Maine, Massachusetts, New Hampshire, New Jersey, New York, Oregon, Rhode Island, Pennsylvania and Vermont. To support the launch of this program, Toyota Certified has created an all-new comprehensive marketing campaign. The campaign targets both the general and Hispanic markets, with spot radio ads, interactive ad units, search engine marketing keywords, and hybrid micro-websites in both English and Spanish. We are kicking off the campaign with a TMS headquarters display, as well as, a launch announcement this weekend at the NADA convention. To create a buzz at NADA, we have positioned a full-page print ad announcing our launch in the NADA version of Automotive News on January 26th. In addition to these launch events, we placed today a press release on the wires, updated all Toyota Certified Hybrid logos on 3rd party sites (AutoMart.com, Cars.com, AutoTrader.com), updated the TCUV HUB, created all-new point of sale materials, and placed the new marketing logos and ads on Toyota Ad Planner. All the elements are in place to ensure the launch of the hybrid brand extension a success! Listed below are the 160 checkpoints. Only vehicles that pass all 160 checkpoints (as appropriate to vehicle content) can receive the Toyota Certified Seal of approval. ABS operates on "panic stop"
Perform emissions test and/or state inspection, if required. Toyota Certified Used Vehicles come with one of the most extensive used-car warranties in the business. Each Toyota Certified Used Vehicle comes with a 12-month/12,000-mile comprehensive warranty from date of certified purchase. This warranty covers any repair or replacement of components which fail under normal use due to a defect in materials or workmanship. Each Toyota Certified Used Vehicle is also backed by a 7-year/100,000-mile Limited Powertrain Warranty (from original date of first use when purchased as new). We also add 1 year of 24-hour Roadside Assistance (from original date of first use when purchased as new). For the enhanced peace of mind of an available Extended Vehicle Service Agreement, please visit Toyota Financial Services. Out of gas? It can happen anytime. If it does, Roadside Assistance will bring you gas and get you on your way. Q. Can all Toyotas be Certified? A. No. First, the Toyota must have less than 85,000 miles on the odometer, and can only be the current model or six model years back. Additionally, the vehicle must have a Vehicle History Report run on it, and it must pass a comprehensive 160 Point Quality Assurance Inspection. These requirements ensure that only the best of the best are eligible for Toyota Certification. Q. Where can I purchase a Toyota Certified Used Vehicle? 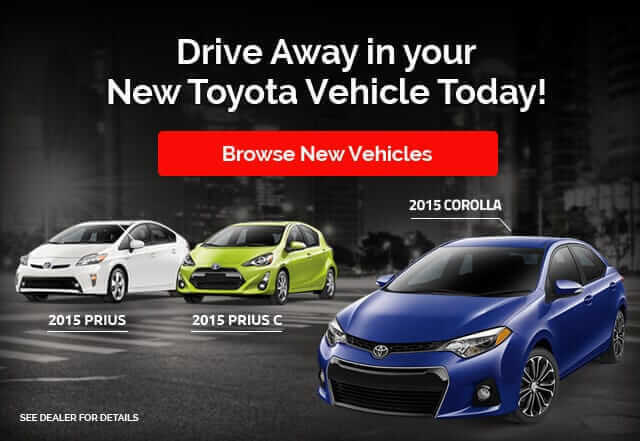 A. Toyota Certified Used Vehicles are available exclusively from your Toyota dealers. Q. What is a Vehicle History Report and how does it work? A. 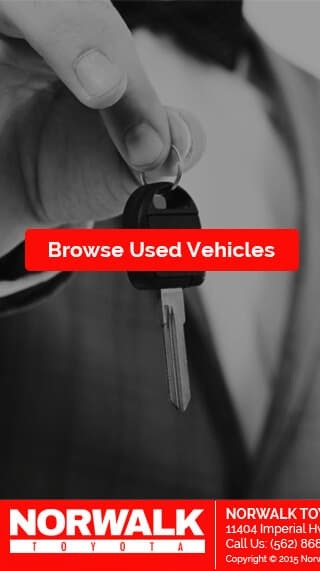 Currently, Vehicle History Reports (VHR) are available to auto auctions, dealers and the general public, and are highly recommended for anyone in the market to purchase a used vehicle. At Toyota, we go a step further by requiring a VHR be run on each Toyota before it can become a Certified Used Vehicle. With a VHR we can tell if a vehicle has had major structural damage, been previously declared a total loss or has any odometer discrepancies. 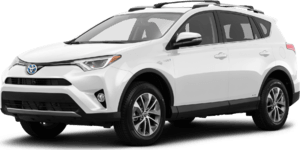 The VHR also helps to protect the integrity of the Toyota Certified process by disqualifying any vehicle that does not meet our high standards. Q. What is Roadside Assistance? A. 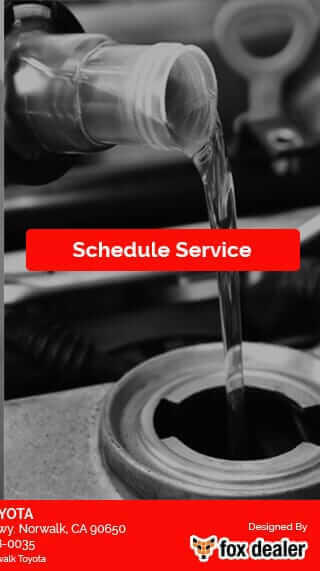 Roadside Assistance is a complimentary 1 year (from original date of first use when purchased as new) 24-hour roadside service that comes with each Toyota Certified Used Vehicle. Q. Is the Toyota Certified Used Vehicle Limited Powertrain Warranty transferable to a new owner? A. Yes. The Limited Powertrain Warranty is transferable to the subsequent owner at no charge. Q. How long is the Toyota Certified Used Vehicle Warranty in effect? A. Your Certified Warranty expires at the earlier of seven years (from original date of first use when purchased as new) or when your odometer reaches 100,000 miles. Q. Is there special financing available for Toyota Certified Used Vehicles? A. Yes. There are special financing rates available. Please visit the Toyota Financial Services section of Toyota.com. Q. 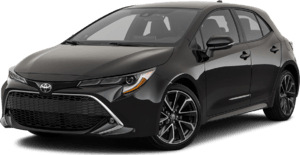 Can I lease a Toyota Certified Used Vehicle? A. Lease rates are available. Please visit the Toyota Financial Services section of Toyota.com.